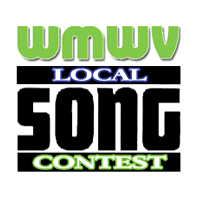 North Conway, NH – At Noon today Program Manager of 93.5 WMWV Mark Johnson and Mount Washington Radio Group Owner Greg Frizzell announced the four finalist for the 5th Annual Song Of The Year Contest. Noah Smith – Make A Change. The judges said that this year they received 43 entries in total. The judges noted that choosing just four was immensely difficult due to all the great music they received. So they decided to do something a little different this year and announce the runners up. Each band will be given the opportunity to perform their song at a local venue in the Mount Washington Valley. The artists will be contacted in order to arrange a date and location for them to perform for your votes. The choice is now up to the listeners who will have until March 31st to vote for their favorite song. In order to vote click on the Local Song Of The year Contest logo in the upper left hand side of this site, or Click Here. We love celebrating local artists and the fact we have the unique opportunity to do so. The Mount Washington Radio Group would like to thank Blue Moon Brewing Company and Amoskeag Beverages who make this contest possible each year. Fine crafted music always goes with fine crafted brews like Blue Moon!